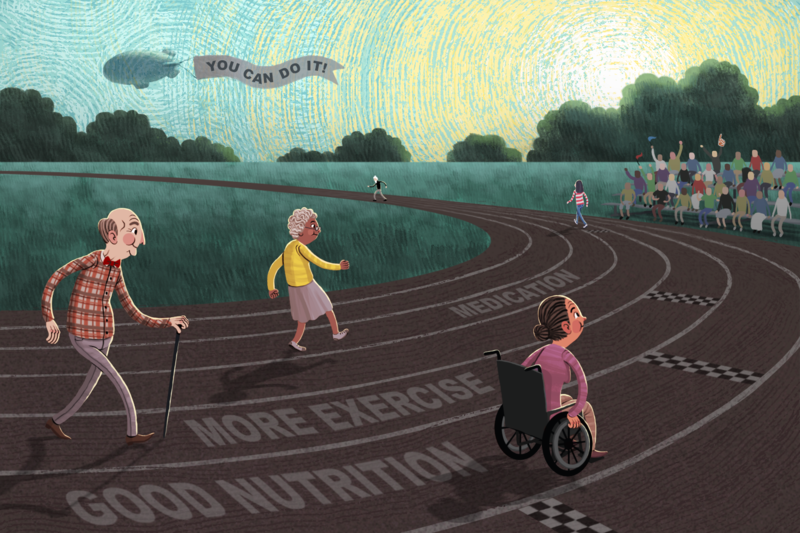 No matter their age, most people will benefit from participating in a self-management program for chronic diseases, a new study says. The researchers concluded that this indicates the importance of continuing to market these programs to older adults. “It is never too early or late to intervene for healthy aging, and a comprehensive public health approach of encouraging healthy lifestyles is necessary,” said the study’s author, Regents and Distinguished Professor Marcia Ory of the Texas A&M Health Science Center School of Public Health. In her recent article in the Health Education and Behavior journal, “National Study of Chronic Disease Self-Management: Age Comparison of Outcome Findings,” Ory measured the health improvements of middle-aged and older adults following participation in a chronic disease self-management program. The program covered topics such as techniques to deal with frustration, fatigue, pain and isolation as well as appropriate exercise for maintaining and improving strength, flexibility and endurance. The appropriate use of medications, effective communication with family, friends and health professionals, and nutrition were also presented. The results show that social function, communication with doctors and depression all improved significantly across all ages after participating in the program. Effects were also measured and compared among age cohorts, with the middle-aged cohort consisting of adults aged 50-64, and the older adult cohort consisting of adults aged 65 or older. When compared, the statistics revealed that the program had the greatest effects on the health status and overall quality of life in the middle-aged cohort.